Green thumbs unite on Salt Lake City property. At the Red Butte Garden a rainbow of shades of color flow through the landscape. As the seasons change so does the view at this picturesque place. Located on the east part of the University of Utah campus this special setting provides a haven for one and all seeking inspiration or simple solitude. Named as the "official arboretum of Utah", the Red Butte Garden welcomes one and all. Hours change periodically. Keeping in tune with Mother Nature’s timeline the grounds remain open longer in Spring and Summer. Gardeners living in Salt Lake City find the garden a valuable resource. Guided tours impart precious insight and knowledge to the plants that thrive locally. A variety of classes are offered regularly for both adults and children. 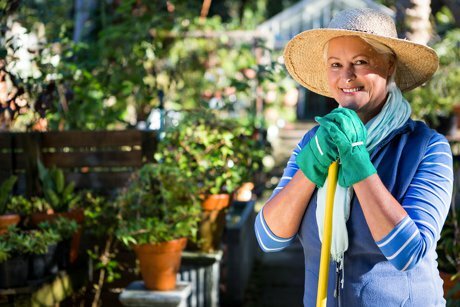 Lessons and workshops for adults stimulate the mind and cover a variety of subjects from basic to more complex gardening techniques. Botanical drawing and painting instruction combines art and nature. Lectures in horticulture educate interested parties introducing them to the knowledge experts lend. Kids naturally love to get their hands dirty. Youth gardening classes are right up their alley. Garden Adventures are scheduled year round. With a focus on fun children are taught all about plants, bees, bulbs, trees and more. Preschool programs are designed for the littlest of visitors. Lil’ Buds is in swing from April to October and is just for those under four years old. Field trips expand the knowledge of groups of kids bringing them out into the fresh air and exposing them to the wonderful beauty of flora and fauna. Special events mark the calendar on a regular basis. The popular Outdoor Concert series draws a good crowd. Neighbors and friends flock to this Salt Lake City property to celebrate the sounds of music in such a lovely setting. Art shows, poetry readings, bird walks and open houses are popular times to visit as well.